Well first of all, I can't believe that I completely forgot to write my review for this book when it was first released and I read it right away! 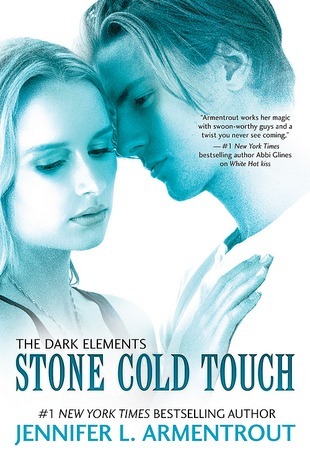 But I guess it's a good thing in a way since it gave me the excuse to re-read Stone Cold Touch. And just as I remembered, this book was simply fantastic! Every book that I have read by JLA has always been amazing and this was no different. It was filled with humor, action, and of course romance. I loved the first book, White Hot Kiss, but this book, it was over the top awesome!! From the minute I started reading I was hooked. There were so many twists and turns and so many new surprises. I'd love to tell you what they are, but then I'd be spoiling the story, so you are going to have to find out for yourself. My most favorite thing about JLA's books is always the humor. No matter what the situation is or how serious it is, there's always something that makes me laugh! I absolutely loved this book, and seriously if you haven't started this series yet, you really need to do so! Now I just have to wait for three more days before I can get my hands on Every Last Breath. I can't wait to see how the story ends but I am also kind of dreading it since it's going to be the last book in the trilogy.